My previous blog was about, how agile beginners should follow rules to make agile right instead of implementing their own perceptions and concepts. 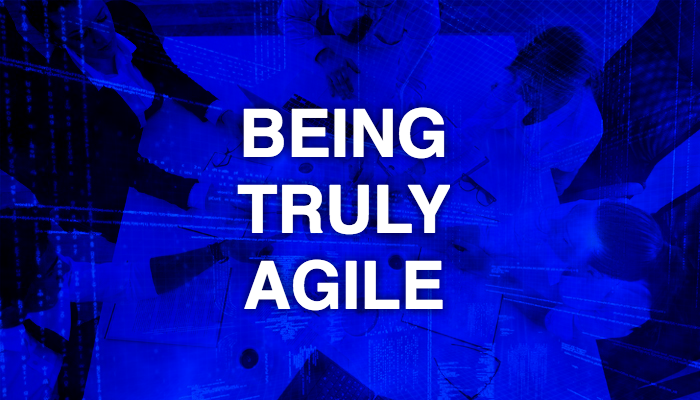 Now let’s move further to revolutionized methods of making agile right. Following the agile static methods without any advancement can be mind-numbing. However, implementing ‘The GROWS’ method can allow innovation within agile methodology and enable the industry to move forward. What is ‘The GROWS’ method? Growing Real-World Oriented Working Systems is a method developed by Jared Richardson and Andy Hunt (two of the founders of Agile). Growing denotes change, Real-world oriented implies that our decisions should not rely on some ambiguous information, instead they should be based on actual evidences and conditions. Also, working represents an actual software system which is our deliverable. Lastly, these methods reveals that all the individuals who participate in the system like the users, developers, sponsors are equal contributors to form a successful system. Evidence-Based infers that every team member should be able to acclimate according to actual proof i.e. real-world data. However, to attain this kind of information team members will have to follow instructions of Dreyfus Skill Model which allow beginners and experienced with more latitude to experiment and work accordingly. These enable team members to adapt local conditions based on real-world data securely. Following all methods enable participants like users, developers, testers and sponsors to work as whole common team. Agile methodology can be refined and practiced more efficiently by adopting ‘The GROWS’ methodology. So, if you are looking to innovate then ‘The GROWS’ method is perfect option.